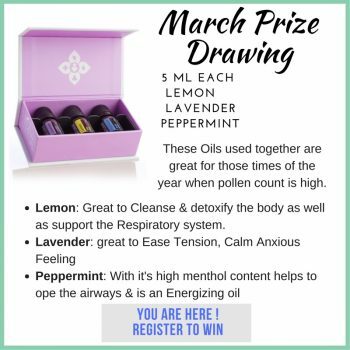 We hope you are excited about our essential oil give away! We love our fans and we love to support the awareness & use of doTERRA Essential Oils. Please fill out this short survey to be registered to win FREE doTERRA Products! 1. Do you currently use Essential Oils? 2. Are you interested In Learning more about Essential Oils? 3. Do you like to use other natural solutions like vitamins & supplements? 4. Do you currently have a doTERRA account?